Indonesia-based dive operator Blue Season Bali is set to announce an updated version of their hugely popular contest dubbed “The Best Dive Job in the World.” The Best Dive Job in the World debuted in October 2010 and offered the chance for one person to spend seven months in beautiful Bali training to become a PADI scuba diving instructor- for free. Last year’s winner Kenzo Kiren is now in Bali living the adventure of a lifetime. Blue Season Bali has already released some information about the upcoming contest, indicating that it will be “bigger, better and feature more inclusions than last year.” While everything isstill a bit vague, they have confirmed that the grand prize value will go from approximately USD 17,000 to over USD 25,000. In a rare interview, contest co-organizer Tom West revealed a little about the upcoming contest, “We are waiting until the official launch on September 30th to give the full details of this year’s competition. 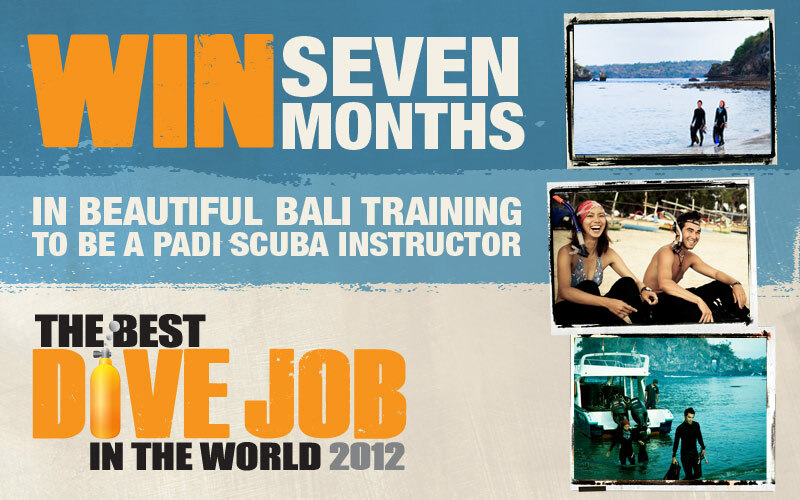 Blue Season Bali will be launching The Best Dive Job in the World 2012 simultaneously on Facebook, Google+, Twitter, and across their network of websites, including the flagship site for The Best Dive Job in the World at www.bestdivejob.com. For more information, contact contest organizers Tom West or Jonathan Cross directly at win@bestdivejob.com.